Northern Syrian Defense Forces Commander General Siyabend Welat stated that they are organizing as the future Northern Syrian Army and that they will be trusted with border security as well. Defense Forces were founded on November 1, 2014 and have since spread throughout Northern Syria. The Defense Forces have played an important role in the fight against ISIS and are now preparing to play an essential role in the defense of the Northern Syrian Democratic Federation’s borders. 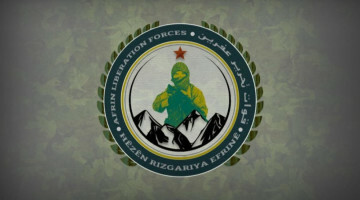 They have also participated in the Operation Cizire Storm and are now organizing as the Northern Syrian Army. 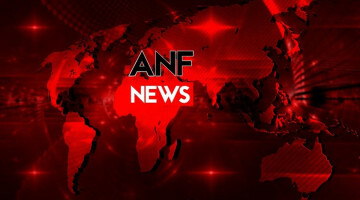 Northern Syria Defense Forces Commander General Siyabend Welat spoke to the ANF. Why was there a need to form the Defense Forces when forces like YPG, YPJ and the SDF are already present? There were military efforts in place before the Defense Forces were founded on November 1, 2014. Especially when there was an attack on Rojava, YPG and YPJ fought heroically. But there was a need for an army. That is why the Defense Forces were founded. The foundation process was a harsh time in terms of circumstances. Because Rojavayê (Western) Kurdistan was under enemy attack from all sides. Resources to found an army were very limited. What did you do despite all that? First we formed the Recruiting Office through the Defense Council. Through the Recruiting Office, we issued notices for citizens aged 18 to 30 to come and do their military duty. With this, our first term started. Each term was 100 people. We opened one term in Tilbeyder and another in Girziro. We thought we’d start with 100 recruits to have a trial run, but then hundreds of young people came. We increased our camps. In the Cizir region we formed the Til Kocher, Debaka and Hesekê camps. No, it wasn’t just the numbers we needed, we were also in need of officers. For that we founded a Military Academy in Amudê. The Military Academy had its first graduates, we had 50 commanders graduate. We started training again with 120 people. Was it limited to the Cizir region? It wasn’t, we opened camps in Kobanê and Efrîn as well. We have camps in Manbij and Tabqa too. It won’t be limited to Rojava, we are now launching efforts in other regions of Northern Syria. Manbij, Raqqa and Tabqa will be included. For instance, 600 people from Deir ez-Zor have joined and started training to date. 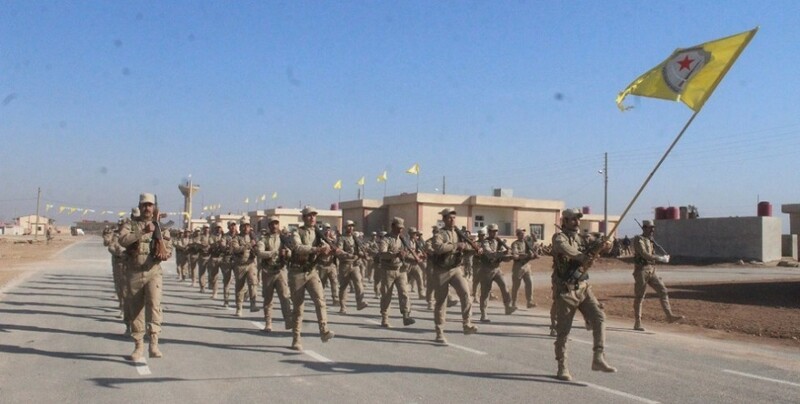 The Defense Forces played an essential role alongside the YPG And YPJ in the fight against ISIS in Northern Syria. From now on, they will play an essential role in border security as one of the fundamental defense forces of Northern Syria. We know there are some grievances in Manbij about this. What are the reasons for that, what is happening there? Nearly 400 friends of ours were martyred in the liberation of Manbij. There was a great resistance there. Nobody believed Manbij could be liberated from ISIS invasion but the people believed in us. But when they hear Defense or the Military they think of the army of the regime or the system of the regime. There were objections because that was how they thought. The institutions there failed to completely play their role in society as well. They couldn’t fully explain the reality and the necessity of the Defense Forces. So some grievances came out. A while ago, by the closing ceremony of a 1400 soldier term in Dibaka, all of their families were present. They came, they saw with their own eyes, they ate with the soldiers. This created trust in them. There were some shortcomings in Manbij, but we overcome these and continue. You are also participating in the ongoing Operation Cizire Storm. What is your role in this operation? Our forces play an essential role in the fight against ISIS alongside YPG and YPJ. In Deir ez-Zor we will be handling border security. All our forces here are volunteers who came of their own volition. 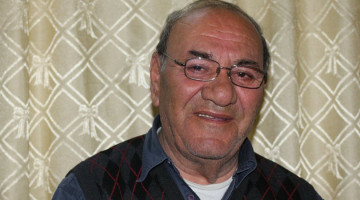 Then there are friends in areas like Dêrik, Kobanê and Serêkaniyê. We know that the US led International Coalition has a project about the Defense Forces. Can you expand on this a little? They offer help in technical support and training. We are waging this war together. The fight against ISIS is drawing to a close, and we are advancing to the point of defense. Now we have joint camps in building the defense system of Northern Syria. They provide weapons and technical training for our forces. As we carried the war towards completion to date, we will continue to do so. You speak of border security. Right now there is a Turkish invasion in parts of Northern SYria. Areas like Efrîn, Shehba and Manbij are under threat. What will the role of the Defense Forces be in the face of these threats and attacks? We have faith in ourselves in building a strong defense system. Until now, we fought against ISIS and we played our role. From now on, the Defense Forces will be a fundamental force in border defense. Our forces have gathered serious experience in the fight against ISIS. Right now we are translating this experience into training. We are training our forces based on this military legacy so we can stand strong against all enemy attacks and defend our country. We say this very clearly, this is not Southern Kurdistan or Kirkuk, forces like Hashd al-Shaabi can’t just enter. We have given thousands of martyrs to defend our country. Our greatest values are our homeland, our martyrs and our people. People don’t join us for the money. We train people in every sense. We turn their ideological, vital and military experience into a legacy. Wherever there is an attack or a threat on Northern Syria, our professional and war-experienced forces will go there and defend the country. Turkey or Syria or any other neighboring state can’t enter our homeland as they wish like before. The Syrian state ran away from ISIS. The forces who played their actual role against ISIS were the Defense Forces, the YPG and the YPJ. The regime is making propaganda that they will return. Nobody should heed that propaganda.